How come small bugs can walk on water but I can’t? Why does a belly flop hurt so much? Why does a stone skip across calm water? Three good questions. One answer. Ever notice that water sometimes feels hard, like it’s solid? The reason your belly flop hurts is because of something called surface tension. This is not the kind of tension you feel when you’re headed to the dentist with a cavity or on the first day of school. Water molecules are those tiny bits of hydrogen and oxygen that make up H2O, which is what scientists call water. “Surface tension” happens because those water molecules are attracted to each other. They want to stay with each other and not connect with all the other things around them. 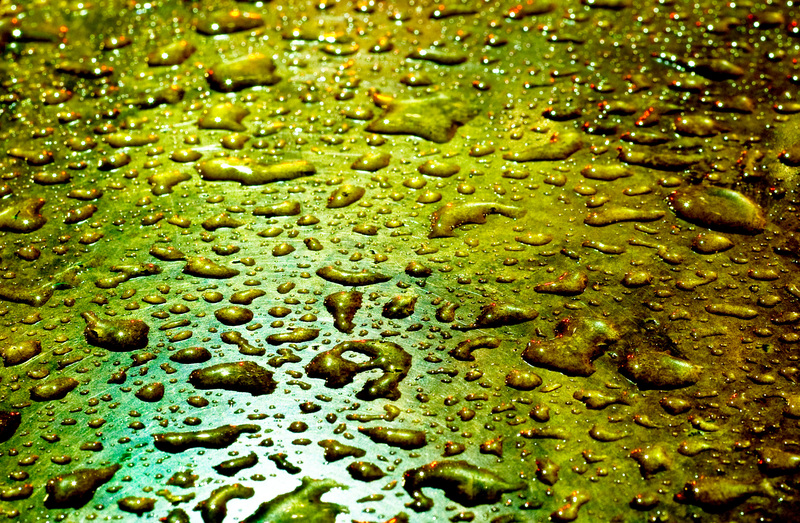 See it for yourself: squirt one drop of water on a table, then drop a second near it. If they’re close enough they’ll reach out and pull together to form a bigger drop. That’s surface tension in action. When you get a lot of water drops together, like in a pool or in Lake Ontario, all those water molecules are still trying to pull together. They don’t want to connect with the air above, so surface tension spreads out in that place where water meets air. It stretches over the water, kind of like a trampoline or like a giant piece of cling wrap pulled across the top of the lake. Surface tension causes the whack and pain of your belly flop. It is strong enough to push back when you flop onto it, but weak enough to let you sink through. 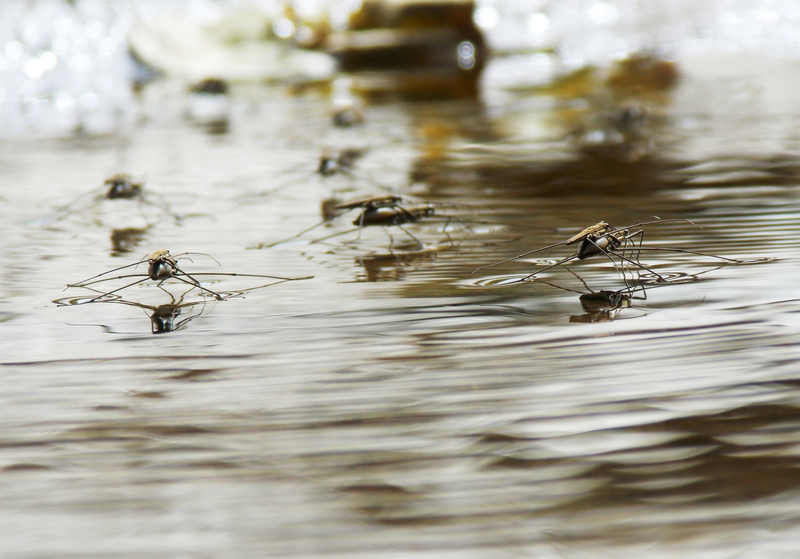 It is strong enough to let a water strider run across the water, but waaay too weak to hold up your big ol’ feet. 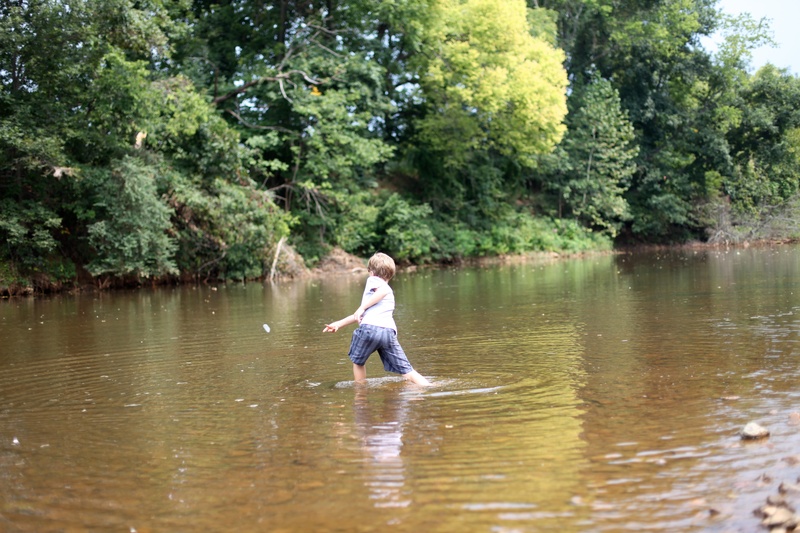 Same thing with the skipping stone. Surface tension pushes back enough to let a stone bounce a few times before plopping down. So there you go. How come small bugs can walk on water but I can’t? Why does a belly flop hurt so much? Why does a stone skip across calm water? The answer …. is surface tension.